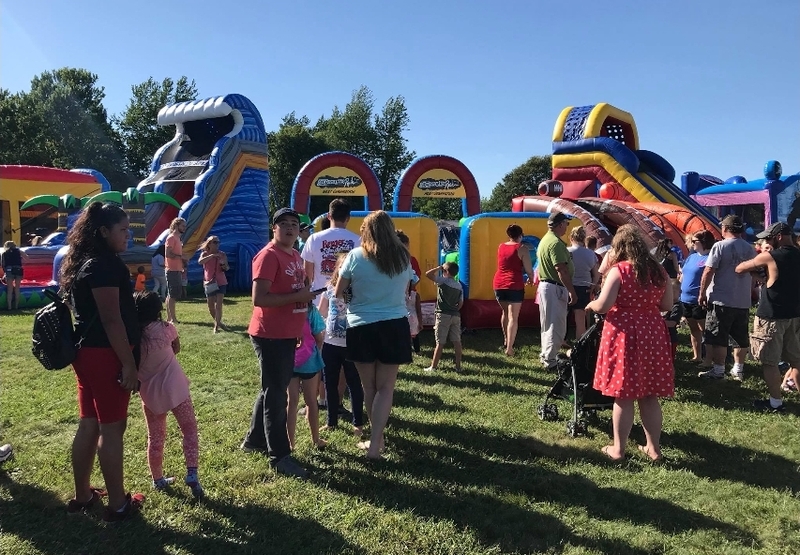 Thank you for visiting UbounceInc.com, where you'll find all the best inflatable attractions like bounce houses, water slides, and the best deals in Danville, Kentucky! With our new online reservations system you'll be able to browse all the awesome attractions and equipment we have to offer and build your party or event as you go. You can see all our popular bouncers and dry slides , along with exciting extreme obstacle courses, interactive games, and concession machines. If your looking to save some money, make sure you click over to our discounted Package Deals section. We combined some of our most popular rentals into discounted packages to give you more value! The U Bounce Inc. team strives to be the best inflatable bounce house and party rental company in Kentucky. We accommodate any indoor or outdoor birthday party, church function, school fundraiser or coroporate event. Some of the great places we had the pleasure to delivering to in Danville are: Millenium Park, The Showroom, Curtsinger's Sunrise Outfitters, Danville-Boyle County Airport for the Great American Balloon Race, Southside Christian Church, several other churches through out Boyle County, Toliver Elementary School, Boyle County Library, Centre College, Cracker Barrel and Lowe's to name a few. Our professional team provides you with 5 star customer service from the beginning stages of planning your event, right up to the end of your event and beyond. You can also be sure your rental will always be clean & sanitized. GUARANTEED! As a family owned business, U Bounce Inc. takes pride in our clean party rentals and takes our guests safety as a top priority. U Bounce Inc. is licensed and inspected by the state of Kentucky. Start your party experience today and get ready for the best events around! We bring the fun, you make the memories! Getting your Danville event started is easy at UbounceInc.com, with our new online reservations system. 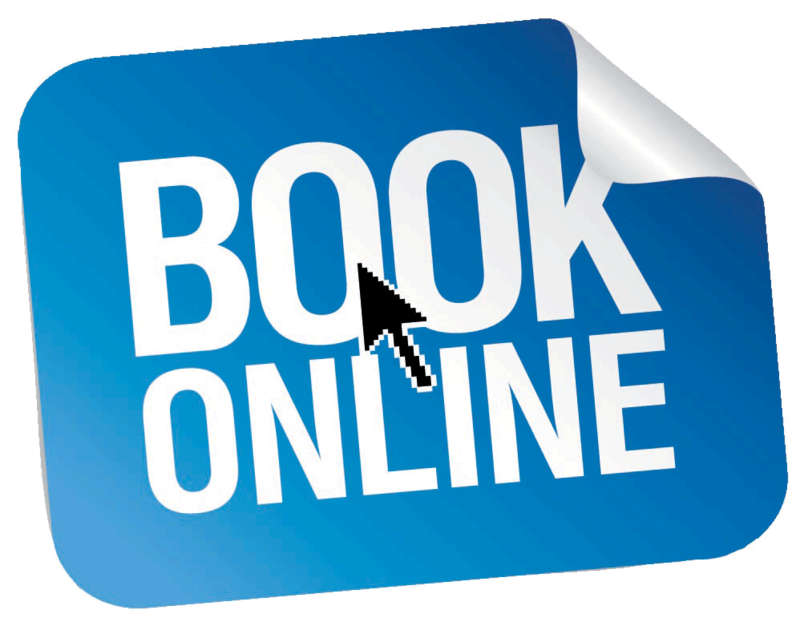 Just click the "Book Online" photo or link below and enter the date and time of your event. As you browse through the website you will be presented with only those items available on your date. That takes all the worry about whether or not your favorite items are available. Not ready to commit just yet? No problem! You can also just explore all the categories to view pricing and useful information about each product. As you see items that are perfect for your party, just click the "add to cart" button on every product page, and build your party that way. It's easy as one, two, three! Get Your Party Jumpin', in a few clicks with U Bounce Inc. today! Click To Reserve Online Now! Our Danville customers love it when U Bounce Inc. shows up with awesome inflatable blow up fun. We have a great selection of America's favorite event attraction, the classic bounce house! 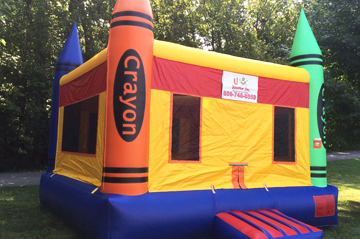 These popular bouncy castles are perfect all types of events. Rent one these exciting inflatables for your next Danville event. When your responsible for the celebration plans in Danville Kentucky, you find professional experience and resources waiting for you at Ubounceinc.com. Our giant unique inflatable slide rentals are the centerpiece attraction where ever they go. 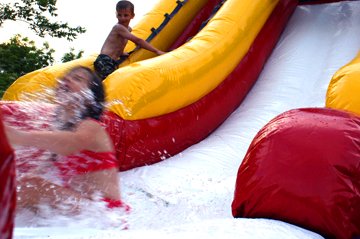 Adults and teens love the 22ft Tropical Tsunami Water Slide with Slip N Slide, our biggest one yet! If that one is to big for you, we also have a variety of smaller water slides. Some of which have a splash area at the end and some have pools. Slip N Slides are also a great alternative. Check out what works best for you. Experience & Resources Make it Easy! Our Danville customers love to save money whenever possible, and getting the best price and value at U Bounce Inc. is no exception. That's why you'll want to bookmark this page and keep up on the great package deals U Bounce will be offering to our Danville customers. Like us on Facebook to get news on special deals there, that only our Facebook family can receive. Browse our discounted package deals by clicking on the link below. If you would like to know more about a discounted package deal simpliy click the "More Info" link for more information and to make a reservation. I use them all the time. Always on time, very professional, and I've used them three times already and about to use them a fourth time. I would highly recommend them to anyone!!!! The experience was easy and professional! We had a ton of fun and the Bouncy houses made the party! Love U Bounce, Inc! They never disappoint! They provided service to our church with less than a 24-hour notice! Great products! Great service!